You are done with that old house of yours, and the movers have transported everything you need to your new place. Prepping that old house for sale means rolling up your sleeves and getting your hands a little dirty. Now, it’s time to work on the old house and put it up for sale so that you can afford your new home. The old saying “you have to spend money to make money” applies. Invest in the house you’re leaving behind so that you can sell it at the highest price possible. Start with a thorough cleaning. A full house cleaning will do wonders for the house price. Do some carpet cleaning if you are leaving any rugs behind, sofa and upholstery cleaning if there is some furniture left. When prepping that old house for sale, make sure to pay close attention to bathroom and kitchen cleaning, proper attention in these rooms will leave the house in its shiniest result, wipe the windows spotless. Since this is a long but important process, if you have no time for it, use the services of a cleaning agency. Simply ask around for feedback about any cleaning contractor, and hire the company to do the job for you. This might come off as a bit expensive, but it will be worthwhile in the end. Ironically, it’s time you get acquainted with the house you are moving away from. You need to know its highs and lows in order to know what you need to work on. Check if all the appliances work – you’ll always net more if you don’t leave broken items behind. Are all the water faucets working properly? Are there leaks anywhere? Leave no stone un-turned as you go from room to room and look for issues that need your attention. If you want to give the old house a new feel, do some repainting, especially if you have previously personalized your rooms. Vibrant or dark colors might not impress every buyer, so why not repaint the house with some neutral colors. Use white or lighter shades of grey or brown to breathe new life into the walls. Updating your paint colors will give the interior of the home a nice new makeover and open you up to a larger buyer pool that appreciates neutrality. Now you’re on a roll in prepping your old house for sale but If you are feeling really adventurous, keep the same neutral color theme and even stage the house to further complement your updates. If your house comes with a yard, roll up your sleeves and do some garden work. Mow the lawn, clear off the fallen branches and leaves; even do some weeding if necessary. Every improvement you do to the lot will increase its cost. Then comes the time to find the right estate agent and let him or her do the rest of the job – finding the right buyers at the right price. All that is left for you to do is going to your new home and start the new chapter of your life. 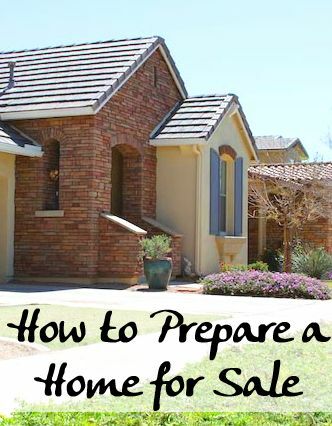 For more information on preparing your old house for sale, please contact us or leave a comment below. We’d appreciate the opportunity to assist you.